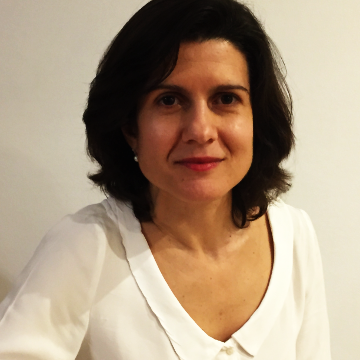 Paula Videira is the team leader of the Glycoimmunology research group. Leading in Glycobiology and Immunology, the goal of the group is to identify novel therapeutic targets and to develop novel antibody-based approaches and dendritic cell (DC)-based vaccines. The group is interested in identifying aberrant glycosylation in cancer and thus identifying novel biomarkers. It aims to understand how cancer-associated glycans induce a tolerogenic profile in DC and affects patient’s immune response. In addition, the group aims to understand the role of glycans expressed by DCs. The goal is the exploration of DC-based immunotherapy, and to learn how to fine tune the immune response, based on the modifications of specific glycosidic structures. This could result in the establishment of enhanced vaccines against unique signatures in tumour cells and bacteria. Paula Videira is presently leading both national and international research projects. She supervises six PhD students and several Master students and post docs. Videira PA, M Silva, K C Martin, and R Sackstein. 2018. “Title : Ligation of the CD44 Glycoform HCELL on Culture-Expanded Human Monocyte-Derived Dendritic Cells Programs Transendothelial Migration.” Journal of Immunology. Carrascal MA, Silva M, Ferreira JA, Azevedo R, Ferreira D, Silva AMN, Ligeiro D, Santos LL, Sackstein R, Videira PA. A functional glycoproteomics approach identifies CD13 as a novel E-selectin ligand in breast cancer. Biochim Biophys Acta. 2018 May 17. pii: S0304-4165(18)30145-4. doi: 10.1016/j.bbagen.2018.05.013. Silva M, Silva Z, Marques G, Ferro T, Gonçalves M, Monteiro M, van Vliet S, Mohr E, Lino AC, Fernandes AR, Lima FA, van Kooyk Y, Matos T, Tadokoro CE and Videira PA. Sialic acid removal from dendritic cells improves antigen cross-presentation and boosts anti-tumor immune responses. Oncotarget. 2016. 7:41053-41066 doi: 10.18632/oncotarget.9419. Carrascal MA, Severino P, Cabral MG, Silva M, Ferreira JA, Quinto H, Pen C, D Ligeiro, LL Santos, Dall'Olio F, Videira PA. 2014. Sialyl Tn-expressing bladder cancer cells induce a tolerogenic phenotype in innate and adaptive immune cells. Molecular Oncology 8: 753–765. doi.org/10.1016/j.molonc.2014.02.008. Bugalho A, Martins C, Dias SS, Nunes G, Silva Z, Correia M, Marques Gomes MJ, Videira PA. 2013 Cytokeratin 19, Carcinoembryonic Antigen, and Epithelial Cell Adhesion Molecule Detect Lung Cancer Lymph Node Metastasis in Endobronchial Ultrasound-Guided Transbronchial Aspiration Samples. Clin Lung Cancer. 14:704-12. doi:10.1016/j.cllc.2013.06.004. Carrascal MA, Talina C, Borralho P, Gonçalo Mineiro A, Henriques AR, Pen C, Martins M, Braga S, Sackstein R, Videira PA. Staining of E-selectin ligands on paraffin-embedded sections of tumor tissue. BMC Cancer. 2018 May 2;18(1):495. doi: 10.1186/s12885-018-4410-x. Liliana Loureiro, Diana Sousa, Angelina Palma, Dylan Ferreira, Wengang Chai, Luís Lima, Carina Pereira, Carla Lopes, Viviana Correia, Chunxia Li, Lúcio Santos, José Ferreira, Ana Barbas, Carlos Novo, and Paula A Videira. "Novel monoclonal antibody L2A5 specifically targeting the sialyl-Tn and glycans terminated by alpha-2-6 sialic acids" by authors Submitted Paper #: 2018MABS1742. Brasil S, Pascoal C, Francisco R, Marques-da-Silva D, Andreotti G, Videira PA, Morava E, Jaeken J, Dos Reis Ferreira V. CDG Therapies: From Bench to Bedside. Int J Mol Sci. 2018 Apr 27;19(5). pii: E1304. doi: 10.3390/ijms19051304. Review. Casal D, Mota-Silva E, Iria I, Alves S, Farinho A, Pen C, Lourenço-Silva N, Mascarenhas-Lemos L, Silva-Ferreira J, Ferraz-Oliveira M, Vassilenko V, Videira PA, Goyri-O'Neill J, Pais D. Reconstruction of a 10-mm-long median nerve gap in an ischemic environment using autologous conduits with different patterns of blood supply: A comparative study in the rat. PLoS One. 2018 Apr 16;13(4):e0195692. doi: 10.1371/journal.pone.0195692. eCollection 2018. Severino PF, Silva M, Carrascal M, Malagolini N, Chiricolo M, Venturi G, Barbaro Forleo R, Astolfi A, Catera M, Videira PA, Dall'Olio F. Oxidative damage and response to Bacillus Calmette-Guérin in bladder cancer cells expressing sialyltransferase ST3GAL1. BMC Cancer. 2018 Feb 17;18(1):198. doi: 10.1186/s12885-018-4107-1. Marques GS, Silva Z, Videira PA. Antitumor Efficacy of Human Monocyte-Derived Dendritic Cells: Comparing Effects of two Monocyte Isolation Methods. Biol Proced Online. 2018 2;20:4. doi: 10.1186/s12575-018-0069-6. eCollection 2018. Silva M, Videira PA, Sackstein R. E-Selectin Ligands in the Human Mononuclear Phagocyte System: Implications for Infection, Inflammation, and Immunotherapy. Front Immunol. 2018 Jan 19;8:1878. doi: 10.3389/fimmu.2017.01878. eCollection 2017. Review. Araújo JE, López-Fernández H, Diniz MS, Baltazar PM, Pinheiro LC, da Silva FC, Carrascal M, Videira P, Santos HM, Capelo JL. Dithiothreitol-based protein equalization technology to unravel biomarkers for bladder cancer. Talanta. 2018 Apr 1;180:36-46. doi: 10.1016/j.talanta.2017.11.063. Epub 2017 Dec 6. Carrascal MA, Silva M, Ramalho JS, Pen C, Martins M, Pascoal C, Amaral C, Serrano I, Oliveira MJ, Sackstein R, Videira PA. Inhibition of fucosylation in human invasive ductal carcinoma reduces E-selectin ligand expression, cell proliferation and ERK1/2 and p38 MAPK activation. Mol Oncol. 2017 Dec 7. doi: 10.1002/1878-0261.12163. Calais da Silva FM, Videira PA, Ligeiro D, Cabral MG, Sylvester R, Calais da Silva F, Trindade H. Systemic humoral responses of non-muscle-invasive bladder cancer during BCG treatment: less is more. Journal of Cancer Metastasis and Treatment, 2017, 3, 7: 116-26. doi:http://dx.doi.org/10.20517/2394-4722.2017.25. Marques DN, Almeida AS, Sousa ARO, Pereira R, Andrade AL, Chaves RP, Carneiro RF, Vasconcelos MA, Nascimento-Neto LGD, Pinheiro U, Videira PA, Teixeira EH, Nagano CS, Sampaio AH. Antibacterial activity of a new lectin isolated from the marine sponge Chondrilla caribensis. Int J Biol Macromol. 2017 Nov 22. pii: S0141-8130(17)33613-9. doi: 10.1016/j.ijbiomac.2017.11.140. do Nascimento-Neto LG, Cabral MG, Carneiro RF, Silva Z, Arruda FVS, Nagano CS, Fernandes AR, Sampaio AH, Teixeira EH, Videira PA. Halilectin-3, a lectin from the marine sponge Haliclona caerulea, induces apoptosis and autophagy in human breast cancer MCF7 cells through caspase-9 pathway and LC3-II protein expression Anticancer Agents Med Chem. 2017 Nov 13. doi: 10.2174/1871520617666171114094847. Casal D, Pais D, Mota-Silva E, Pelliccia G, Iria I, Videira PA, Mendes MM, Goyri-O'Neill J, Mouzinho MM. Reconstruction of a long defect of the ulnar artery and nerve with an arterialized neurovenous free flap in a teenager: A case report and literature review. Microsurgery. 2017 Nov 2. doi: 10.1002/micr.30265. Casal D, Pais D, Iria I, Videira PA, Mota-Silva E, Alves S, Mascarenhas-Lemos L, Pen C, Vassilenko V, Goyri-O'Neill J. Blood Supply to the Integument of the Abdomen of the Rat: A Surgical Perspective. Plast Reconstr Surg Glob Open. 2017 Sep 11;5(9):e1454. doi: 10.1097/GOX.0000000000001454. eCollection . Chaves RP, Silva SRD, Nascimento Neto LG, Carneiro RF, Silva ALCD, Sampaio AH, Sousa BL, Cabral MG, Videira PA, Teixeira EH, Nagano CS. Structural characterization of two isolectins from the marine red alga Solieria filiformis (Kützing) P.W. Gabrielson and their anticancer effect on MCF-7 breast cancer cells. Int J Biol Macromol. 2017 Sep 29. pii: S0141-8130(17)32674-0. doi: 10.1016/j.ijbiomac.2017.09.116. de Freitas C, Dos Reis V, Silva S, Videira PA, Morava E, Jaeken J. Public and patient involvement in needs assessment and social innovation: a people-centred approach to care and research for congenital disorders of glycosylation. BMC Health Serv Res. 2017 Sep 26;17(1):682. doi: 10.1186/s12913-017-2625-1. Viegas CSB, Costa RM, Santos L, Videira PA, Silva Z, Araújo N, Macedo AL, Matos AP, Vermeer C, Simes DC. Gla-rich protein function as an anti-inflammatory agent in monocytes/macrophages: Implications for calcification-related chronic inflammatory diseases. PLoS One. 2017 May 18;12(5):e0177829. eCollection 2017. doi: 10.1371/journal.pone.0177829. Silva M, Fung RK, Donnelly CB, Videira PA, Sackstein R. Cell-Specific Variation in E-Selectin Ligand Expression among Human Peripheral Blood Mononuclear Cells: Implications for Immunosurveillance and Pathobiology. J Immunol. 2017. pii: 1601636. doi: 10.4049/jimmunol.1601636. Marques-da-Silva D, Dos Reis Ferreira V, Monticelli M, Janeiro P, Videira PA, Witters P, Jaeken J, Cassiman D. Liver involvement in congenital disorders of glycosylation (CDG). A systematic review of the literature. J Inherit Metab Dis. 2017 Jan 20. doi: 10.1007/s10545-016-0012-4. Loureiro LR, Carrascal MA, Barbas A, Ramalho JS, Novo C, Delannoy P, Videira PA. 2015 Challenges in Antibody Development against Tn and Sialyl-Tn Antigens. Biomolecules. 5:1783-809. doi: 10.3390/biom5031783. Martins M, Baptista PV, Mendo AS, Correia C, Videira P, Rodrigues AS, Muthukumaran J, Santos-Silva T, Silva A, Guedes da Silva MF, Gigante J, Duarte A, Gajewska M, Fernandes AR. In vitro and in vivo biological characterization of the anti-proliferative potential of a cyclic trinuclear organotin(iv) complex. Mol Biosyst. 2016;12(3):1015-23. doi: 10.1039/c5mb00791g. Bugalho A, Martins C, Silva Z, Nunes G, Mendes AS, Ferreira I, Videira PA. Immature Myeloid Cells and Tolerogenic Cytokine Profile in Lung Adenocarcinoma Metastatic Lymph Nodes Assessed by Endobronchial Ultrasound. Tumor Biology, 2015; pp 1-9. doi: 10.1007/s13277-015-3885-1. Silva Z, Veríssimo T, Videira PA, Novo C. Protein disulfide isomerases: Impact of thapsigargin treatment on their expression in melanoma cell lines. Int J Biol Macromol. 2015: S0141-8130(15)00267-6. doi: 10.1016/j.ijbiomac.2015.04.029. Ferreira V, Reis CA, Perez S, Rauter AP, Videira PA. 2014 Meeting report on EMBO Workshop: Glycobiology and glycochemistry, applications to human health and disease. Glycobiology. 24:782-3. doi: 10.1093/glycob/cwu070. CrespoH, Lau J, Videira PA Dendritic Cells: a Spot on Sialic Acid. Front Immunol. 2013 Dec 27;4:491. eCollection 2013. doi:10.3389/fimmu.2013.00491. Carrascal MA, Severino P, Cabral MG, Silva M, Ferreira JA, Quinto H, Pen C, D. Ligeiro, LL Santos, Dall'Olio F, Videira PA. 2014 Sialyl Tn-expressing bladder cancer cells induce a tolerogenic phenotype in innate and adaptive immune cells. Molecular Oncology. 8:753-65 doi.org/10.1016/j.molonc.2014.02.008. Lima L, Ferreira JA, Tavares A, Oliveira D, Morais A, Videira PA, Medeiros R, Santos L. 2013 FASL polymorphism is associated with response to bacillus Calmette-Guérin immunotherapy in bladder cancer. Urol Oncol. 12. doi:pii: S1078-1439(13)00209-3. 10.1016/j.urolonc.2013.05.009. Lima FA, Gómez-Conde I, Videira PA, Marinho CR, Olivieri DN, Tadokoro CE. 2013 Intravital microscopy technique to study parasite dynamics in the labyrinth layer of the mouse placenta. Parasitol Int. doi:pii: S1383-5769(13)00088-3. 10.1016/j.parint.2013.06.012. Silva A, Luís D, Santos S, Silva J, Mendo AS, Coito L, Silva TF, da Silva MF, Martins LM, Pombeiro AJ, Borralho PM, Rodrigues CM, Cabral MG, Videira PA, Monteiro C, Fernandes AR. Biological characterization of the antiproliferative potential of Co(II) and Sn(IV) coordination compounds in human cancer cell lines: a comparative proteomic approach. Drug Metabol Drug Interact. 2013 26:1-10; doi: 10.1515/dmdi-2013-0015. Monteiro AS, Almeida J, Cabral G, Severino P, Videira PA, Sousa A, Nunes R, Pereira JD, Francisco AP, Perry MJ, Mendes E. 2013 Synthesis and evaluation of N-acylamino acids derivatives of triazenes. Activation by tyrosinase in human melanoma cell lines. Eur J Med Chem. 70:1-9; doi: 10.1016/j.ejmech.2013.09.040. National- Processo 108621 L, "A NOVEL DENDRITIC CELLS POPULATION, METHOD OF PRODUCTION AND USE THEREOF"